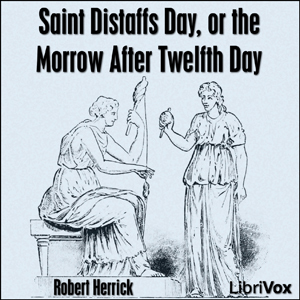 LibriVox volunteers bring you 14 different recordings of Saint Distaff's Day, or the Morrow After Twelfth Day, by Robert Herrick. This was the weekly poetry project for the week of January 6th, 2008. What is St. Distaff's Day? Historically, it was the day after the Christmas festivals ended (the 12 days of Christmas), and most women went back to work with their spinning... but it was also a day of pranks and horsing around. Additional information can be found in Chambers' Book of Days.